Azarius Review – Our Thoughts on CBD Oil! From weed seeds and marijuana accessories to CBD products, Azarius offers variety of products from different brands. It has been one of the leading cannabis seed banks in the industry and has been playing their “A” game for a long period of time. You might ask, how about their CBD products? Don’t worry, we have tested not one, not two but three CBD oil brands they have in their online shop. Here is what we think. Azarius was born out of love… Literally. It started out a college boy and girl from the Netherlands came together in 1990’s. Their common interest and love in Mother Nature and how it can help humans led the way for the establishment of Azarius. Since then, the company's professionalism and topnotch service were unmatched and they quickly gained enormous fame. Employing just over 30 individuals, Azarius has maintained its reputation over the years. The reviews from customers are overwhelmingly positive. From Royal Queen Seeds comes CBD OIL 2.5%, 250 mg. This concentration has been launched just recently, just 6 months before the time of writing, and it’s impressive that it is available in Azarius because we checked that only limited sites offer this concentration. Made from 100% organic cannabidiol, this 2.5% concentration is perfect for new users who require just small doses. We put 3 drops in our tongue three times a day and we noticed its calming effect. The scent and taste is pronounced but not too overpowering. Then, we tried CBD Oil 3% concentration, 300 mg from Sensi Seeds. Its extract is derived from hemp plants grown within the European Union, without the use of pesticides or herbicides. We tested this using two methods: by using a dropper and ingesting capsules that we fill. In the first method, we put 3 drops under the tongue which was about 5 mg daily (See our Accurate CBD Dosing Guide). We also tried filling some empty capsules. If you don’t like the taste of pure organic CBD, which in this case is very distinctive, we recommend trying out this method. It could take a while to feel its effect but it’s really relaxing when it did. Lastly, we tested Organic CBD Oil 5% concentration from Vitae Sense. This is a full spectrum oil which is diluted from hemp and olive oil containing 45% of Hemp oil, 35 of Olive Oil and 20% CBD oil where 5% concentration came from. You may purchase empty capsules available also at Azarius because this one is particularly strong. The website also implores their customer to incorporate small amounts to favorite dishes. Again, this could take a while to notice the effects but it’s worth it. Note that all three oils that we mentioned are NOT suitable for vaporizers. Azarius earned its reputation starting out as a seed shop so what can you expect? Azarius has a top-class seed selection of various strains that satisfy customers. Plus, mushrooms and related accessories are also available in their Smartshop. To enjoy marijuana to the fullest, Azarius offers products like vaporizers, bongs, pipes, grinders, scales, festival gear, drugs tests and books among many others. Their prices are fairly reasonable which is very close to what some of the brands in their sites are offering. Methods of payments such as check, cash, money transfer, Bitcoin, or other forms of cryptocurrency are welcomed. Cash payment requires you to spend more than 25 euros with shipping costs being excluded from this amount. But before you pay, make sure to check out their deals ranging from 20-80% at their homepage. Azarius guarantees a fast and discreet shipping. Tracking may not be available worldwide due to Azarius choices of courier per country. Everything arrived within 5-12 days with each order. If there are problems regarding your order, you can contact their customer support at azarius.net/contact. Their representatives are very accommodating which proves to their testament that they value the customers needs a lot. What can we ask for more in this seemingly jack-of-all-trade Marijuana shop? Well, frankly, there are a few things. First of all, they only ship fresh products like seeds and mushrooms within Europe. Also, CBD oils can only be shipped in Netherlands, so yeah, that’s a bummer. They also don’t accept credit card payments but the other modes work just fine. 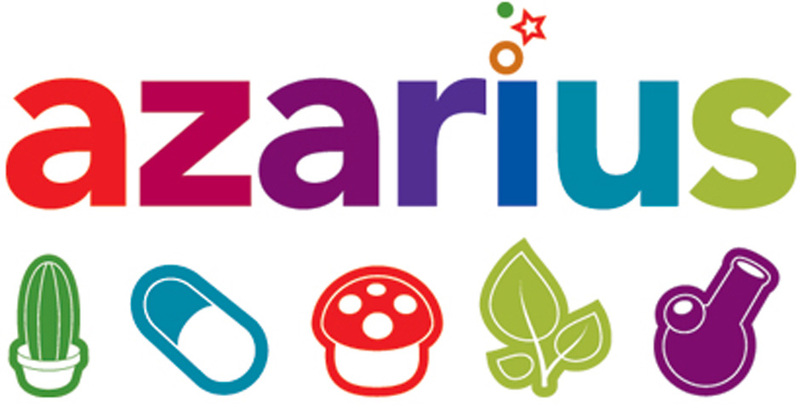 Azarius definitely earned its good reputation though their assortment of products available, reasonable prices, excellent customer service and high quality CBD oils available. Although not perfect, this shop has built it legacy through the years and we think it will live on for generations to come.